Cartoon Network is releasing a new cartoon, that has subtle influences from cartoons such as the older episodes of The Simpsons and newer series such as Adventure Time, named Clarence. Whilst Clarence, might not be the most adventurous and charismatic name, for one to play a leading role in a children’s series. 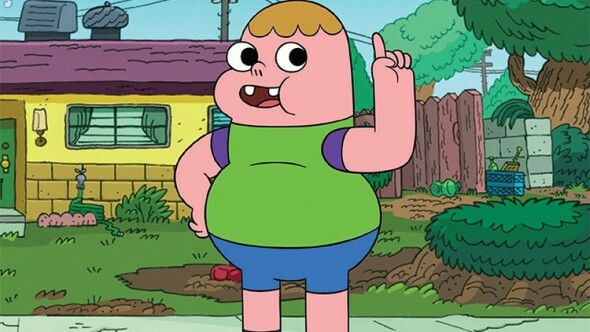 Add the fact that Clarence is actually a young, chubby kid, that lack a few of his teeth and has a speech impediment, we can’t possibly be in for a thrilling ride? Well, we actually are. Welcome to Aberdale, the village and scenery of Clarence. One of the rare quiet villages on the surface of the earth, where children still tend to play outside more than indoors. Adventures and friends seem to be around every corner and Clarence always seems to be in the middle of those said adventures. Clarence is obviously not the brightest tool in the shed but it seems he has the ability to make friends with pretty much everyone. That being said, Clarence prefers hanging out with his two best friends, Jeff and Sumo. Both happen to posses the exact opposite character than the other one. Jeff, is a tranquil boy, with a decent amount of social skills. On the other hand we have Sumo, a pretty humorously disturbed and violent little boy, that likes to wreak havoc, in the sense that active children tend to do. Together with Clarence, they tend to create a balanced team of characters, to keep things fresh and interesting. Seeing the episodes are roughly ten minutes in length, you can only fit in fairly simple stories. These little stories often tackle one simple subject. On the screener the subjects handled were a slumber party and Clarence hanging out with a girl. Things children can relate to. That being said, the humor used during these episode vary from simple children humor to rather adult humoristic comments and remarks, thus making it fairly fun to watch for all ages. As for the flow of the episodes, they tend to go at just the right pace. Action and story switch at just the right time, to give the events that occur the right plot or background, in order to make the entire package that much more appealing. With what the ‘screener’ had to present, it’s not clear if the series will have a bigger plot or character development at all. 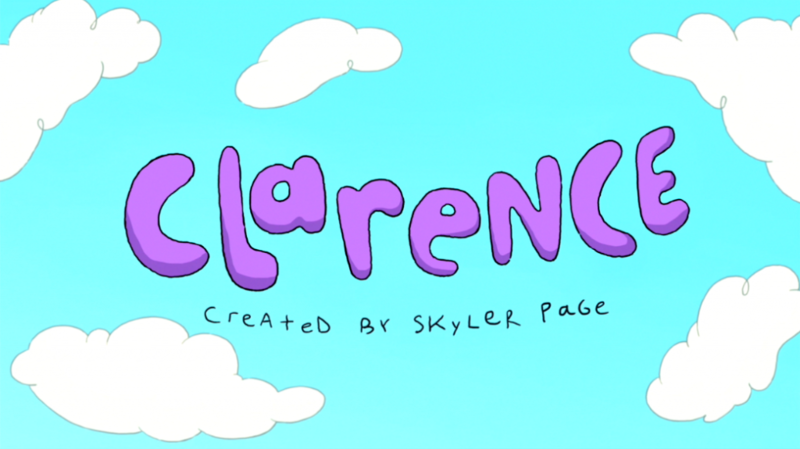 The (drawn) animations in Clarence prove to be quite simple, yet fluent and detailed at the same time. (Contradiction – I know.) Even though the characters look quite simple, the environments tend to be quite detailed and the actions the characters perform as well. Aberdale proves to be a colorful village with characters of all shapes and sizes. As mentioned earlier, you can indeed see certain influences from Adventure Time and the earlier episodes of The Simpsons. Voice acting tends to qualitative as well. All characters have a fitting voice for the characters they depict. This creates a fitting atmosphere that goes hand in hand with the environments as well. Even though our acquaintance with Clarence was a fairly short one, we enjoyed the experience. 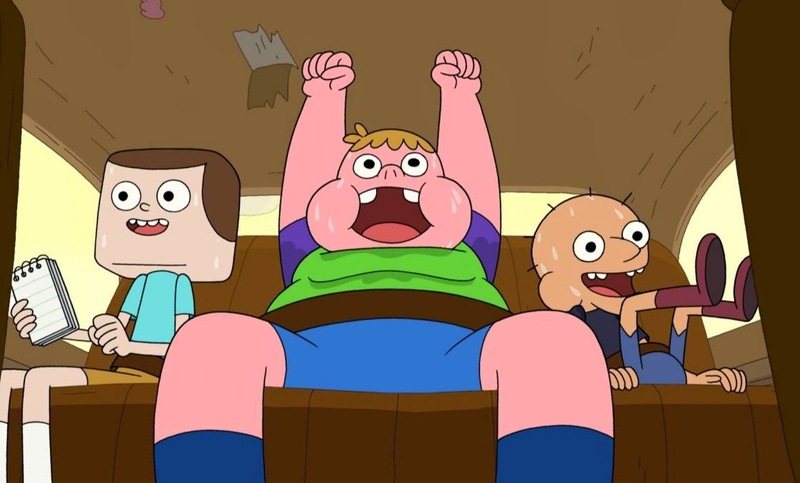 Clarence ends up with likeable not only as a series but as a character as well. Enjoy the humor that is able to please young and old alike, thanks to all the different characters the series will throw at you. Overall, a very good first impression of a retro looking cartoon. Pokémon TV – New update available!